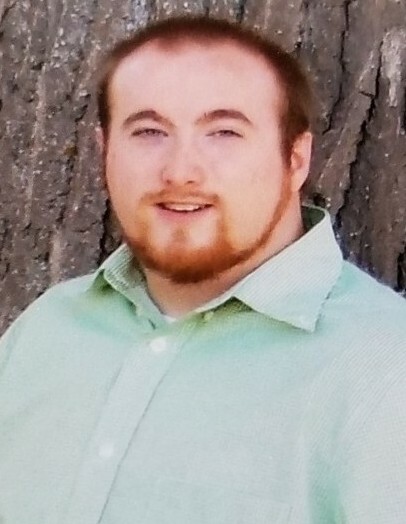 Shawn Brennan age 27 of Bowling Green, was taken away from us in a tragic car accident, Tuesday, April 17, 2018 near Fostoria. He was born May 1, 1990 in Fort Bragg, NC the son of Kathy (Randy) Goostree & Michael (April) Brennan. Shawn was a very special and loved by many people. He loved to go camping, magic, especially with a deck of cards. Shawn was very big into NASCAR. He was a youth leader with Axiom as religion was a big part of his life. He worked closely with the youth pastor. Shawn also went on a mission trip to California where he witnesses and assisted in feeding homeless people. He saw the potential in all people and encouraged them to do their best. Shawn had an undying love for his dogs, Yukon & Redneck. He had many shows that touched him personally that led him into pursuing a career in teaching, such as Boy Meets Word’s Mr. Feeney. He attended Bowling Green State University where he would have graduated on May 5, 2018. Shawn would have been a high school history teacher. He was employed at Meijer’s in Bowling Green. Shawn is survived by and will be missed very much by his parents; Kathy (Randy) Goostree, Michael (April) Brennan, sister; Nicole Maltese, brothers; Michael Brennan Jr, Kadin Brennan, The love of his life and Fiancée; Elizabeth Royster. They were to be married on May 19, 2018, grandparents; Russell and Barbara Brennan,nieces; Carly & Hunter Maltese along with several aunts, uncles & cousins. He was preceded in death by his grandparents Don & Maxine Walter and uncle Max Walter. Friends will be received Sunday, April 22, 2018 from 2:00 until 8:00 pm at Foos and Foos Funeral Service, 151 Yorkshire Place, Bellevue. A funeral service will be held Monday, April 23, 2018, 11:00 am at the First Christian Church, 3410 Hayes Ave, Sandusky, OH 44870. Burial will follow at Bellevue Cemetery.